Full JOIFF accreditation requires an examination of the three pillars that make up effective provision of training, courses/programmes, Instruction and establishment/organisation including facilities. All aspects together must be to the required standard and the applicant organisation must demonstrate proprietary ownership of all 3 pillars for JOIFF accreditation to be awarded. Invitation to attend “Commercial Kitchen Canopy and Duct Fire Suppression and Hygiene Safety Symposium” in The Bewleys Hotel, Newlands Cross, Dublin @ 10.30am 0n Tuesday the 20th of March 2015. The aim of the Symposium is to amongst other items update on current Fire and Hygiene Safety Standards, Best Practice and assist in understanding the reason to comply with statutory provisions. The Symposium will explain, expand and promote the recommendation/maintenance and servicing of Commercial Kitchen Canopy and Ducts from a Fire Safety point of view. The benefits to employer, trade suppliers and anyone working in the Area of Fire Safety and aiding to develop “Competency and Confidence” in understanding the Fire safety obligations. 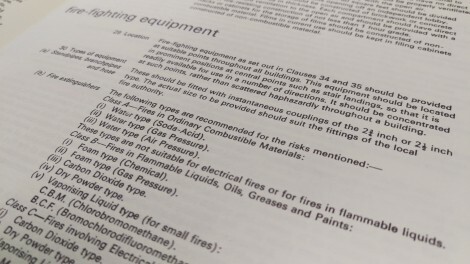 As an Employer/Consultant/Specifier providing Fire Safety Services understand your “Duty of Care” in making sure you, your staff and your clients benefit by education. Over the past number of years the market conditions have changed and the emphasis is on Knowledge and Liability. Starting with complimentary Tea & Coffee at 10.30am, the Fire Safety Symposium will start at 11.00am sharp and ending in a Questions and Answers session from 12.30pm to 1.00pm. To secure your seat please RSVP tofin@kssfiresuppression.ieasap, Spaces are limited. The aim of the Fire Safety Symposium is to amongst other items update on current Fire Safety Standards and Best Practice. The Fire Safety Symposium will explain, expand and promote the 3 day Third Party Accredited Workshop in Fire Extinguishers, Hose Reels and Fire Hydraulics to Employers and Users. The Third Party Workshop which is available to all who are actively involved with the Recommendation/Selection, Installation, Inspection, Service and Maintenance of the above listed equipment. 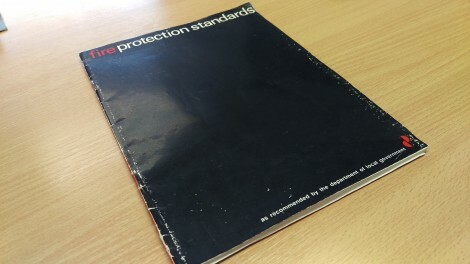 To assist in understanding the reason to comply with statutory provisions with fire safety standard. As a an Employer providing Fire Safety Services understand your “Duty of Care” in making sure you, your staff and you clients benefit by education. If you are working in the area of Fire Suppression or indeed own or are responsible for a Fire Suppression System this will be of critical importance to you, this relates specifically to storing waste, returned or recovered Fire Suppression Gases in the Rep of Ireland. Halon – FM200 – FE36 – FE13 & Refrigerant Gases, these are all either Halons or Fluorinated Greenhouse Gases and require Licenses/Certificates/Authorisations for Recovery/Transport/Storage and Shipping. “The collection and transport of waste, returned or recovered ozone depleting substances (refrigerant gases and halons) is controlled, to ensure environmental protection and compliance with waste law (the same requirements apply also to the collection and transport of waste, returned or recovered fluorinated greenhouse gases). A position paper on this subject has been published by the EPA and should be consulted by all operators handling such waste gases. Holds a valid Waste Collection Permit for the area(s) in which collections are taking place and for the waste types that cover ozone depleting substances (relevant EWC codes may include: 140601*, 160504*, among others). Prosecution is an important part of environmental law enforcement. The Environmental Protection Agency (EPA) encourages individuals and businesses to integrate good environmental practices into normal working methods and seeks to prevent environmental pollution before it has a chance to occur. Where pollution does occur the EPA aims to seek redress for environmental pollution and avoid a recurrence. Where the circumstances warrant it, immediate prosecution will be pursued. In order to provide this complete in house service a company must have achieved a range of licenses and Certificates from Government, Local Government and EU Monitoring/Controlling Bodies. What we have done in order to offer the trade a service that complies with all of the above. collection and transport of waste, returned or recovered ozone depleting substances (refrigerant gases and halons) that are controlled, to ensure environmental protection and compliance with waste law. Over the past 2 years we have contracted relevant consultancy and invested a great deal of time and finance in order to achieve a cradle to grave service. In addition to the transport/recovery we have also taken additional measures by being granted a “Certificate of Registration” by South Dublin County Council on its site at 78A Cookstown Industrial Estate, Tallaght, Dublin 24. We are also listed under the Prior Annual Notification Scheme – PAN with the EPA for the transport of these gases when incidental to the activities. We have successfully registered with the National Trans Frontier Office (TFS) as an “Authorised Broker/Dealer” in accordance with Waste Management (Registration of Brokers and Dealers) Regulations 2008 S.I. No.113 of 2008. Don’t get caught out. If you have any Halons, FE’s or Refrigerant Gases we can provide a fully Licensed/Certified solution to take care of it for you. KSS Fire Suppression is now the only Fire Suppression Company that is fully certified to carry out FM200, Fe 36, Fe 13 Service Exchange directly in accordance with the control guidelines set out by the EPA and National TFS in the Rep of Ireland. If you have a requirement please do not hesitate to contact us, we offer a fully compliant, time effective and cost efficient way to negotiate the movement of your gas.